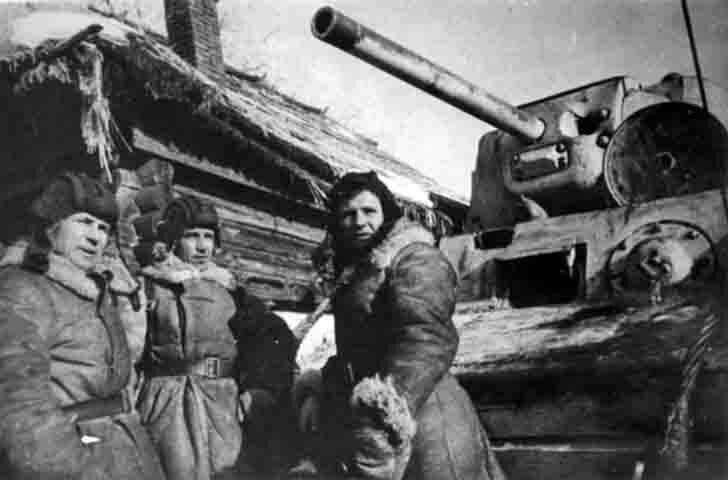 Soviet crew of the KV-1 heavy tank – Heroes of the Soviet Union Alexander F. Burda, Frol Evstafievich Stolyarchuk, Eugene A. Luppov. 1st Guards Tank Brigade. Western Front, the winter of 1941-1942 year.